untitled, from the series "Of other spaces"
Series statement: "Of other spaces" is an attempt to come to terms with the personal buried within a much wider political and historical context, an attempt to come to terms with the issue of belonging and identity on a cultural and personal level. 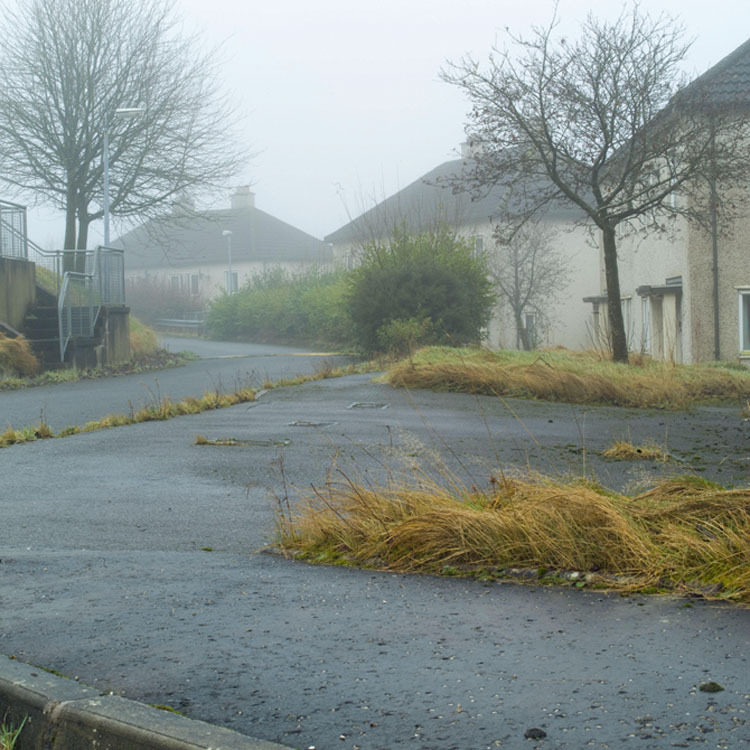 The particular area of interest in this series of photographs is the joint and now former military barracks of Lisanelly and St. Lucia in Omagh, decommissioned in 2007 as one of the conditions of the Northern Ireland peace process. My interest in the space is largely a result of the time my late Father spent living there. He was the eldest son of an Irish Catholic who served as a British soldier for most of his life. The contradictions inherent in his position meant, in the light of the Northern Irish conflict, that my Father's background was for the most part not spoken about. His family, and to some extent our own, seemed always at odds with ourselves and unsure of our place within a polarized society.